ZVEZDNY GORODOK /Moscow region/, February 21. /TASS/. 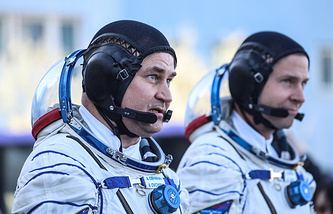 Roscosmos cosmonaut Alexei Ovchinin and NASA astronaut Nick Hague of the failed Soyuz MS-10 mission consulted with psychologists prior to their upcoming ISS mission scheduled for March 14, the crewmembers told reporters on Thursday at a pre-flight press conference in Zvezdny Gorodok. "After the most recent launch that wasn’t very successful we have talked to psychologists. We had some chat sessions and as far as I understand, all of us were relieved that we were fine. I believe this time we’ll succeed," Ovchinin said. That being said, Nick Hague stressed that psychological support is part of the crew’s general training. "We have a great team of psychologists. After that failed launch, some work was undertaken. There were no consequences for my family or me. We just quietly began prepping for our next launch," the astronaut added. The launch of the Soyuz MS-12 spacecraft with an international crew onboard to the ISS from the Baikonur Cosmodrome is scheduled for March 14. 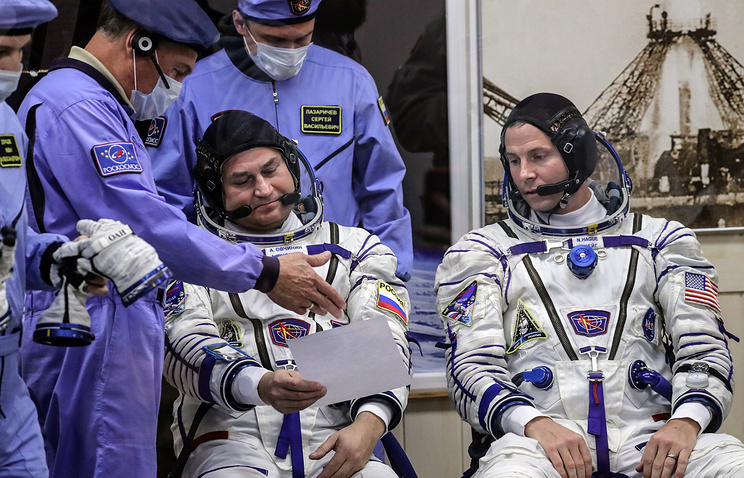 According to the flight schedule, Alexei Ovchinin, Nick Hague and Christina Koch will spend 204 days in orbit. Following a smooth liftoff, the Soyuz’s booster malfunctioned between the first and second stages of separating, whereupon the crew was forced to abort the flight and switch to ballistic descent. The manned Soyuz MS-10 spacecraft ended up landing safely in the Kazakh steppe, with the crew unharmed. This turned out to be the first emergency situation with the launch of a manned spacecraft over the past 35 years. The incident-probing commission announced on November 1 that the emergency situation occurred after "a nozzle cover on the oxidizer tank failed to open due to the deformation of the separation contact sensor." The sensor was damaged during the assembly of the rocket’s first stage at the Baikonur Cosmodrome.